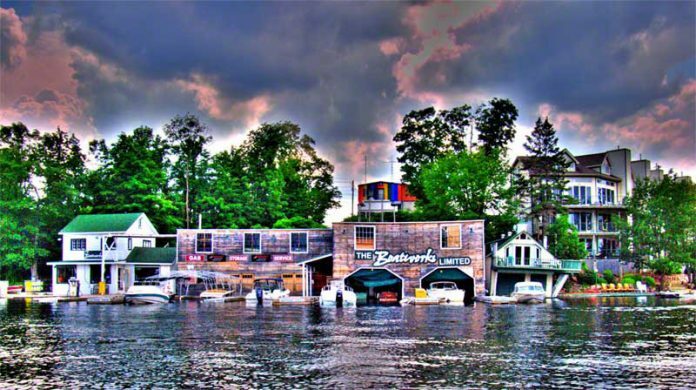 Summer Water Sports group of companies is announcing the purchase of The Boatworks Marina in Port Carling, which means as of Nov. 20, SWS Marina now operates both locations of The Boatworks. The Boatworks locations are on the Indian River on both the Rosseau and Muskoka side of the locks. SWS will continue to run The Boatworks in the same capacity but will add their brand qualities to the already well-known marina and will continue to run Minett Marina in Wallace Bay in the same capacity as they have for eight years. Throughout these years, they have grown their business through a strong focus on customer service and keeping their core passion of enjoying life on the water. SWS is known on the lake for their ski shows and ski schools; they have been performing ski shows in Muskoka for decades. The current owner is Geordie Newlands, who purchased SWS in 2006 from Phil Harding when it was only a ski company. Then in 2011, Newlands got into the marine industry by taking over what was formally Wallace Marina and starting SWS Marina.